Connect Teamwork Projects with Microsoft Project to import and export data between apps. 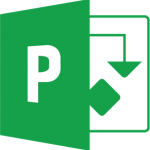 Open a project or import/export data between Teamwork Projects and Microsoft Project. The MS Project add-on is available on the Premium plan and higher. MS Project is available to Premium and Enterprise plans.